Lately I’ve been paying more attention to things around the house and yard, that I enjoy. I think it’s so easy to wake up each day and begin a mental list of everything that needs to be worked on or fixed, so those thoughts needs to be counteracted with things that make you smile when you walk by. The cost was hardly worth mentioning, but every time I walk by it, I can’t help but smile. I stuck it in the flower bed for our Open House a few weeks ago and it has earned it’s keep, way more than I anticipated. These fresh flowers (who are slowly fading), have really livened up our table. I enjoy seeing them every time I walk by and am contemplating buying more on my weekly grocery trip, just to keep the fun going. 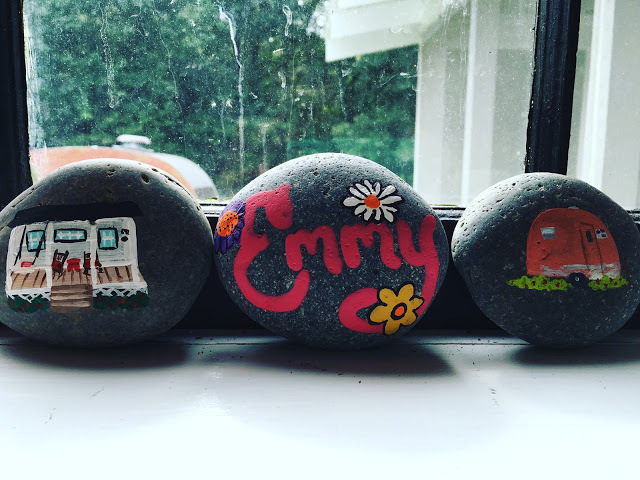 These little gems are a gift from friends. Aren’t they adorable? I think they might have intended for me to put them outside, but for now, I have them in the kitchen window so I can look at them regularly. I snapped this picture yesterday. It’s nothing really to look at, but right now, it’s a place that I enjoy. This is an old, green table that I’ve had in the kitchen and now in my office. I needed a place that was separate from my regular desk, because that’s where I work. 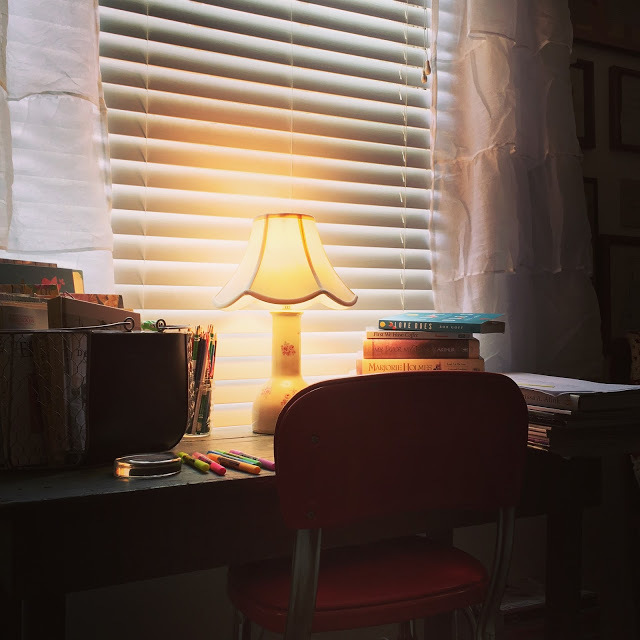 But, this little green table is where better things take place, like my early morning Bible reading and some creative writing. I have some of my favorite magazines stacked there, along with a few of my favorite books that I like to have close by. It’s nothing fancy that would catch anyone else’s eye, but it makes me smile just thinking about sitting there with a hot cup of coffee and my own thoughts. And, last but not least, this Ivy. This little plant has grown so much over the months and I treat it like it’s royalty. History will show that I’m not good with plants. I’m not really that much of an outdoor person, so basically I forget they are outside dying of thirst! However, I went shopping one day, specifically to find an Ivy, because it’s the only plant I’ve ever had a good track record with, so I figured we could be friends. I found this little starter plant and I am happy to report that it proudly hangs to the floor now and I haven’t dehydrated it even once! If you know me, you know that this is a BIG deal! 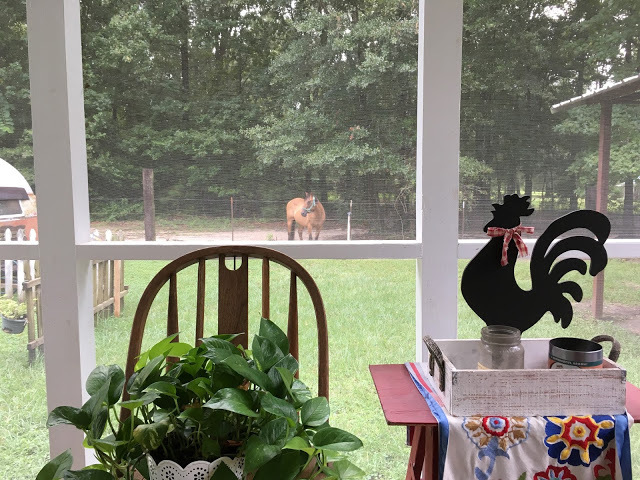 My point today is not to show you some random things around the house or my plant that has miraculously lived for months now, but to share something that’s been coming to life with me for a while now…….place things in your path that make you smile! Life is stressful, life is hectic, life is hard and draining at times. But, we can find the joy in little things that may not seem like anything special to someone else’s eye, but to us, they make all the difference in how we see things. Throw away something that stresses you every time you see it. Buy a $5.00 bouquet at the grocery store. 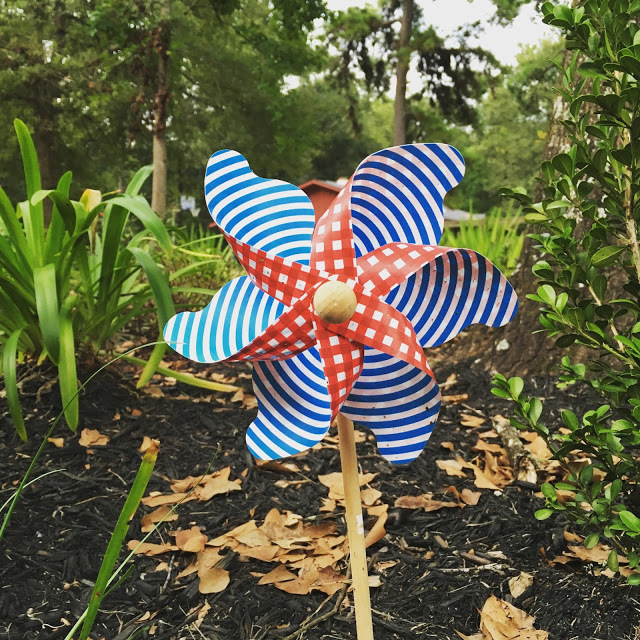 Buy a $1.00 pinwheel at Hobby Lobby. It’s not a matter of money…..it’s just a matter of seeing something small that can make a big difference. 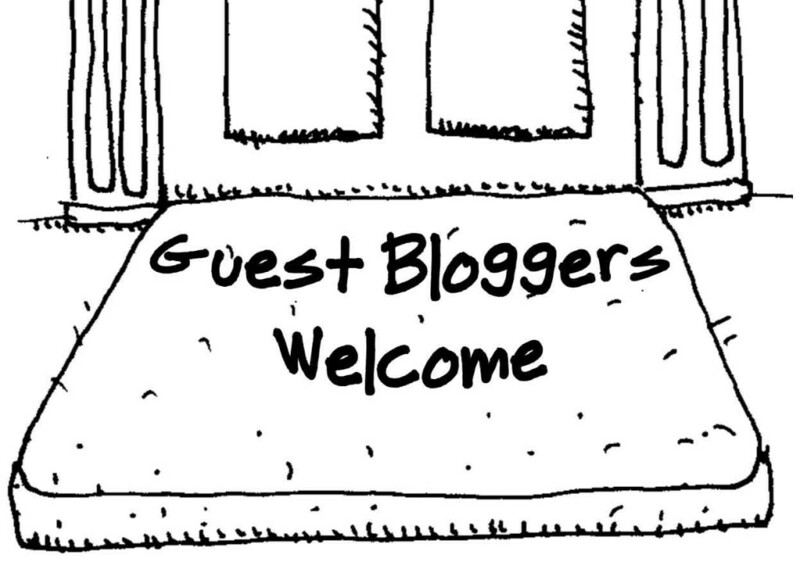 Would you like to read more from guest blogger Debbie Slaughter? Click here for her site, “A Million Skies”. 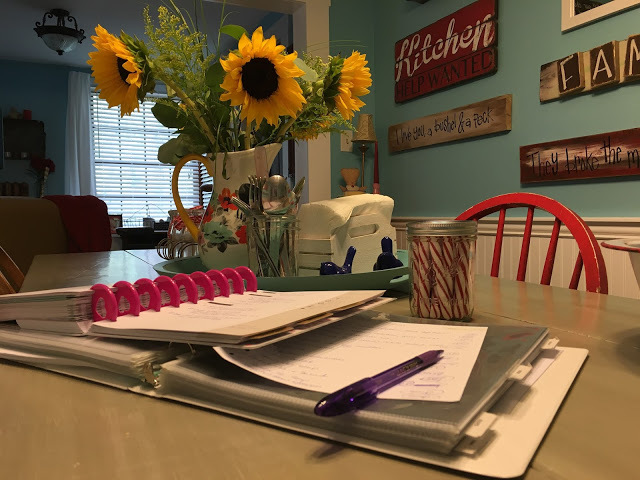 Debbie writes regularly on motherhood, being a Southeast Texas Christian woman, and homeschooling. 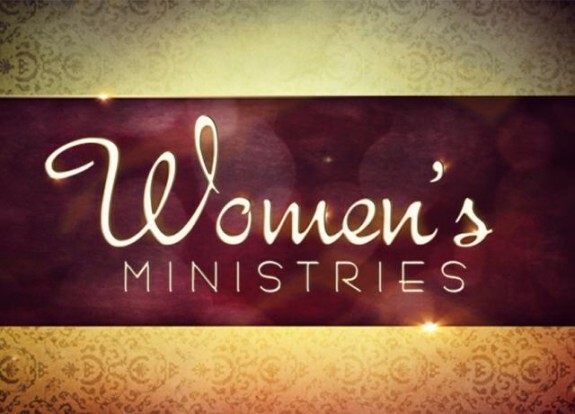 We hope you have enjoyed today’s feature, Southeast Texas Women’s Ministry – “A Collection of Things” by guest blogger Debbie Slaughter. 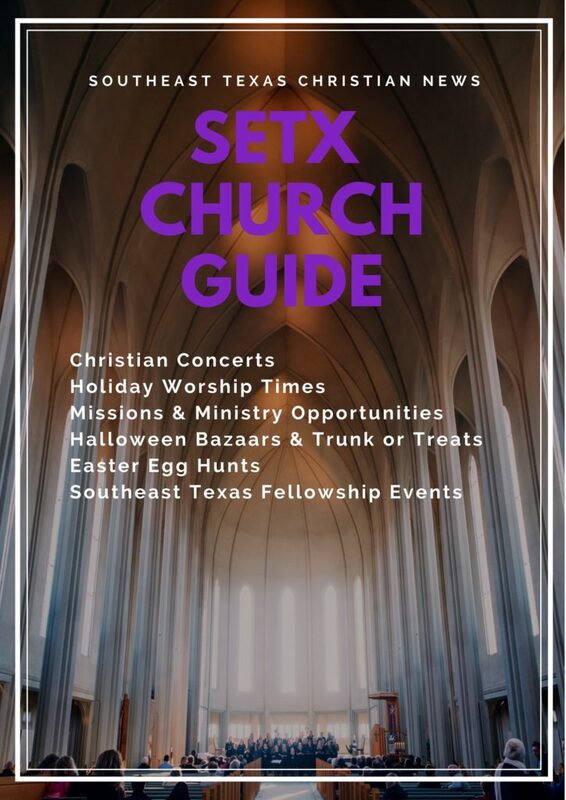 SETX Church Guide is your online magazine for the Southeast Texas Christian community.